Day 16, I have a wish list that I still haven't filled in yet, I'm taking that as a good sign that I have a pretty darn good life and don't want for much. 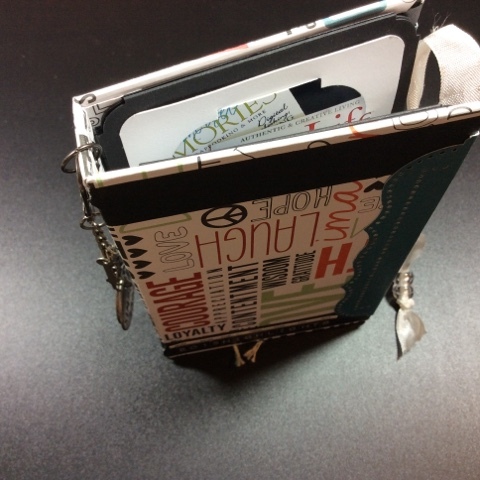 I kept this layout simple, using only the journaling block and an extra piece of fabric tape behind the block. On this layout I used a lined stamp to have a spot for some more journaling, then added the extra tag, and the felt word for embellishments; down the left side you'll notice the lace again, love that it gives it a feminine touch. On this last layout, I used one of our photos from around the house, and framed it with another fabric piece that was already cut into the oval shape - so I matched my picture to it. Around the photo & frame, I used a random stamp to give the page an artistic edge, then used some replicas of older Christmas stamps. Not sure that my page turned out as I had hoped but oh well. Live & learn, then move on. Well that is all for today, happy Monday to all, and happy Friday to me.